Saturday, June 17th, 2017, I’ll have the opportunity to be an ambassador for the sweet, for the tiny, and for the peachy. I am a proud supporter of the Gold Dust peach. 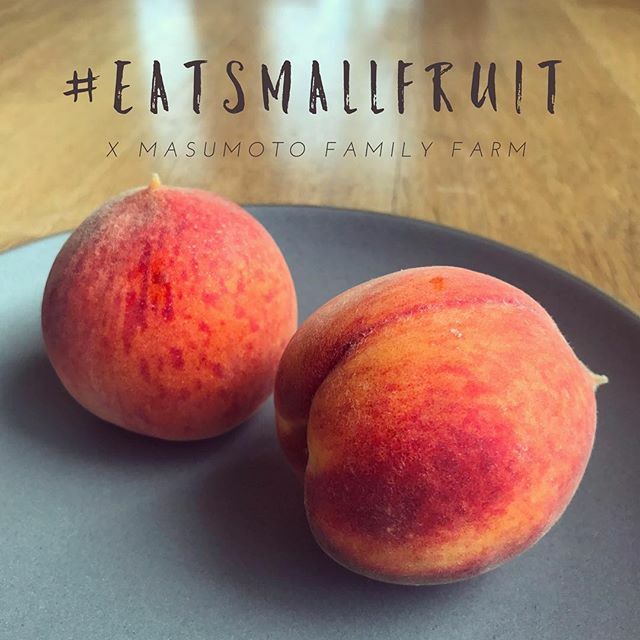 The brilliant growers of Masumoto Family Farms, in collaboration with Real Food Real Stories, and food startup incubator KitchenTown in San Mateo, California (and soon to be in the Mission as well) have teamed up to promote big things for small peaches. You should learn more about #EastSmallFruit campaign and the Gold Dust peach. Gold Dusts are particularly excellent for pickling: the flesh is firm, they’re petite (so they fit better in a jar), and their acidity plays nicely with vinegar, sugar, and spices. Here are a few recipes to get you started with some quick refrigerator pickled peaches. The National Center for Home Food Preservation has great data on canning peaches for shelf storage. Peach out! All pickled or canned peaches must first be peeled. Boil a large pot of water and ready a large ice batch. Working in batches of about 8 peaches at a time, boil the peaches for one minute, then drop them into the ice bath until they’re cool enough to handle. Peel the peaches and cut them in half. I recommend you save the stones and drop them into a short bottle of vodka for later enjoyment. Now, make the brine. Combine all of the remaining ingredients in a small saucepan, stirring and scraping the bottom to dissolve the sugar. Bring it to a rapid boil, then pour the hot brine over the peaches to cover them completely. Screw on the lid and the band and let the peaches cool to room temperature. Move them to the refrigerator and eat after 5-7 days. 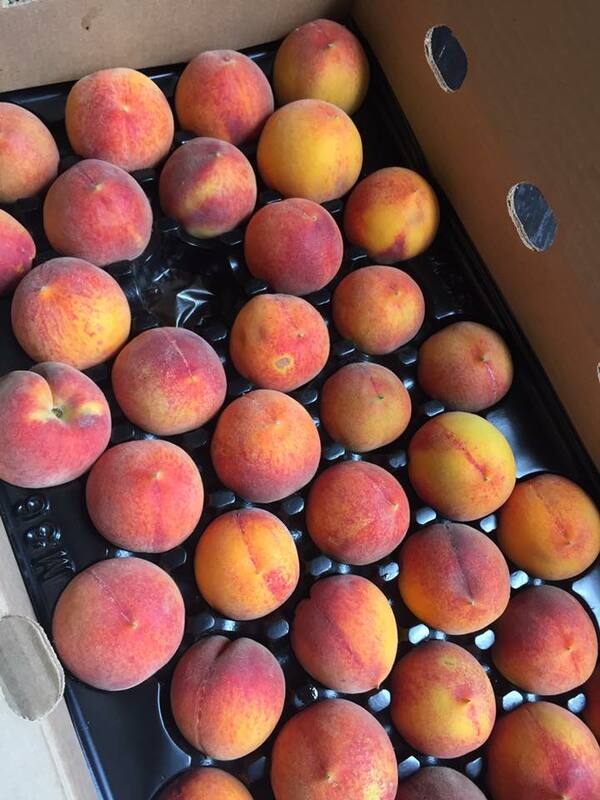 These peaches will keep, covered in brine and refrigerated, for at least a month. While I haven’t been able to look a peach in the eye since the great Schnapps incident of 1991, these recipes sound delicious. Maybe It’s time I bury the hatchet and give them a try. Especially the ginger lime. My mouth is watering just thinking about them. Eric, I’m one Fuzzy Navel behind you. Thanks for the kind words! Happy pickling!